Thread Studio is an interactive VR project that was released by Shopify for free on both the Steam and Oculus platforms. 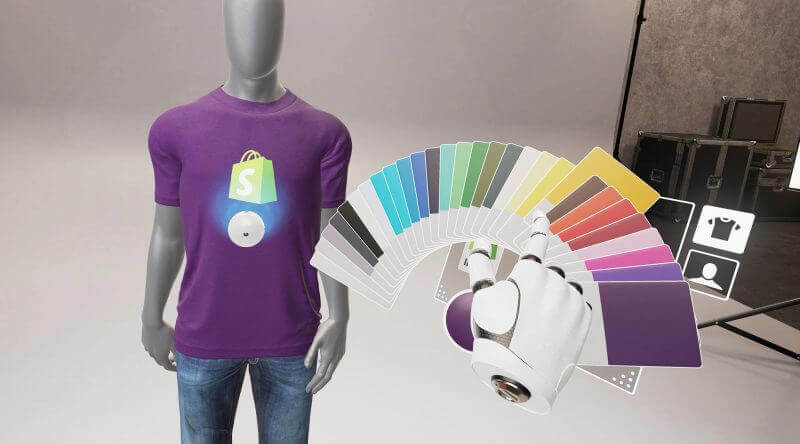 Within the app you are able to test designs on t-shirts as well as various generic merchandise like mugs, bottles, frisbees, hats, etc. It’s a really fun experience, and also a good introduction to a VR tool for someone with no previous VR experience. Just follow the tutorial. I worked on this project for the better part of 2016, within the newly created VR team at Shopify. This project was very much an experiment in VR development with Unreal Engine, as well as an experiment for VR UX in general. I was responsible for the artwork, and made significant creative and technical contributions as well. We learned a lot during its development, and the lessons shaped much of our approach to VR and AR at Shopify. VR is certainly a difficult platform to create for, but LOTS of fun nevertheless.